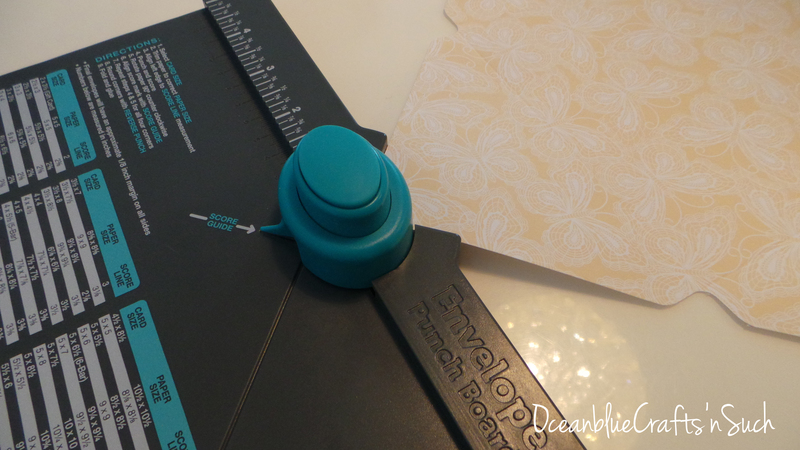 If you are using 12″ by 12″ cardstock, cut down the cardstock to 5.5″ by 12″ using the paper trimmer. 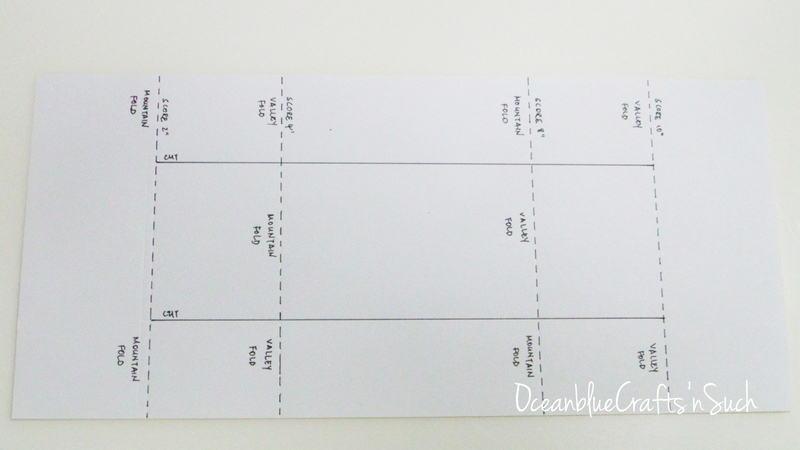 Place the cardstock on the scoring board horizontally. Score at 2″, 4″, 8″ and 10″ (the dotted lines in the picture below). 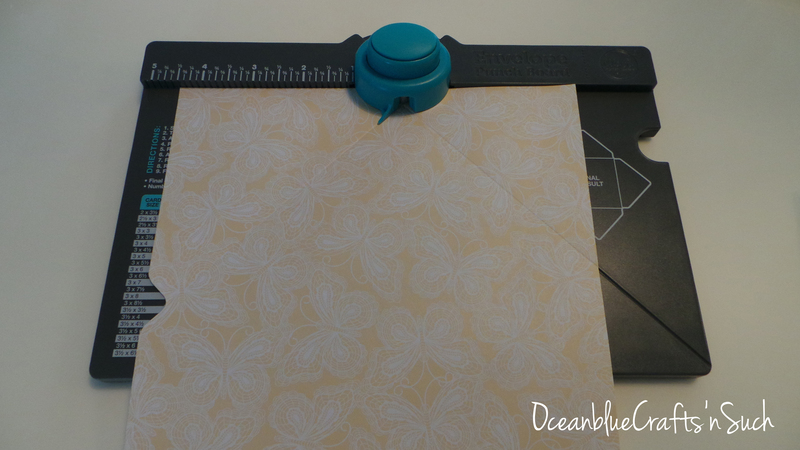 Place the scored sheet on paper trimmer, rotating so the 5.5” piece is across the top of paper trimmer. Measure 1.5” from the left side of the paper and cut between the top score line (at 2″) down to the bottom score line (at 10″). (cut line is the black line in picture). 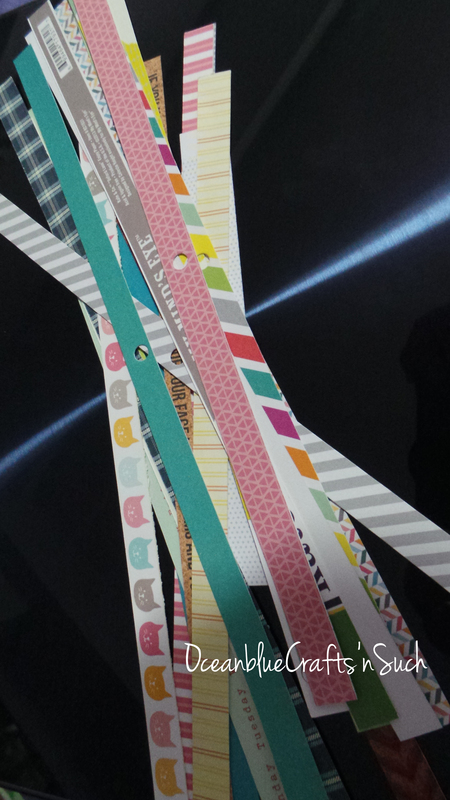 Move the cut paper over to the left and cut again at 4 “ between the top score line down to the bottom score line. Fold the card on the score line pieces as in the first photo below using the Mountain and Valley Folds to complete the base project. Tip: Start by folding the two outside strips first and then the larger center piece is folded in the opposite of the side pieces. 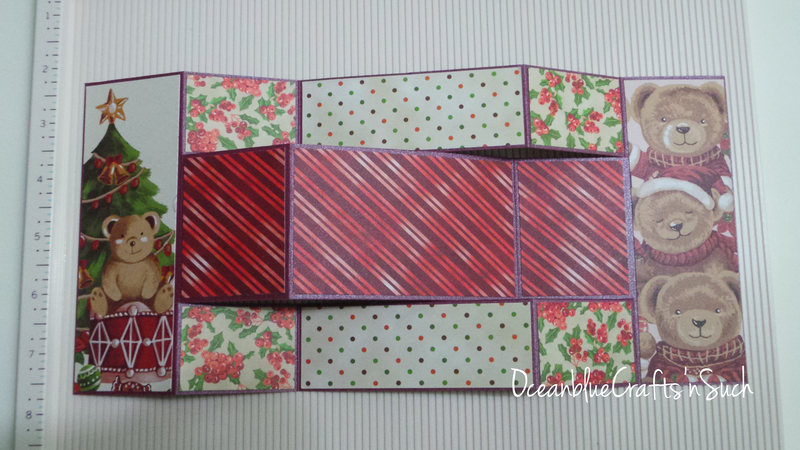 Then fold over towards the right to complete the card formation as in second photo to form the card. Basically the card base is done! 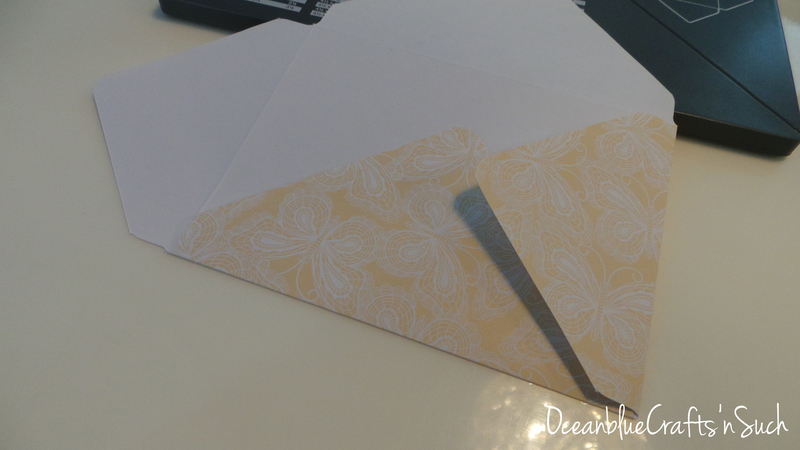 You can now decorate the card with patterned papers. 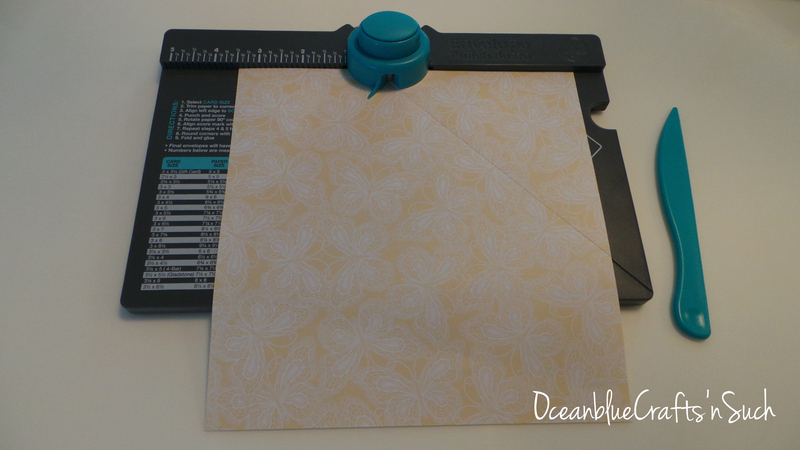 Today I am going to show you how to use WeR Memory Keepers Envelope Punch Board to make a custom sized envelope to fit a standard card size of 4.25″ by 5.5″ card. 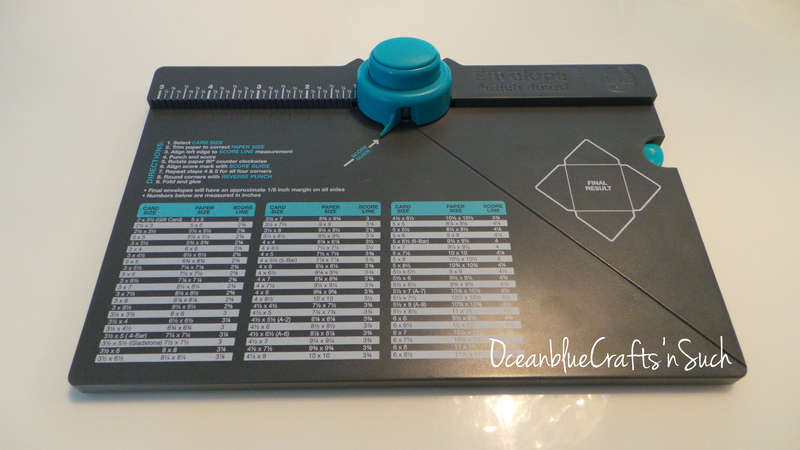 This card size is a quarter inch narrower than the A2 card size shown on the punch board. Align left edge of the paper to the score line measurement at 3.5″. Punch and score. 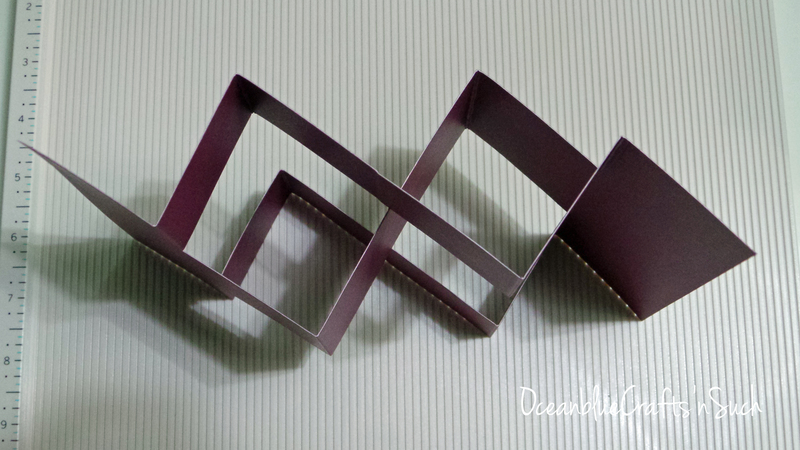 Rotate paper 90 degree counter clockwise. Align score mark with score guide. Punch and score. Repeat for all 4 corners. 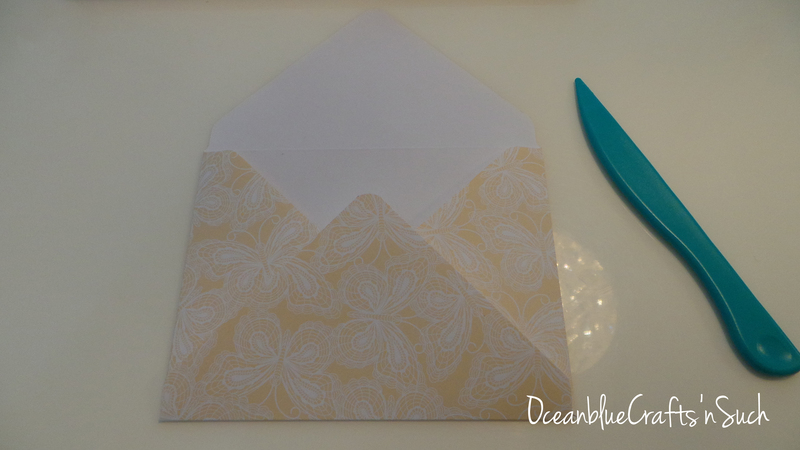 Round corners with reverse punch. 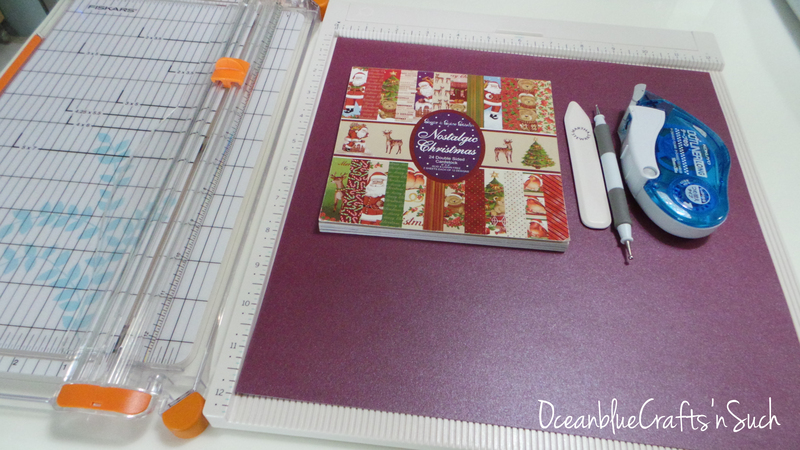 Crease the scored lines and glue with your preferred adhesive. 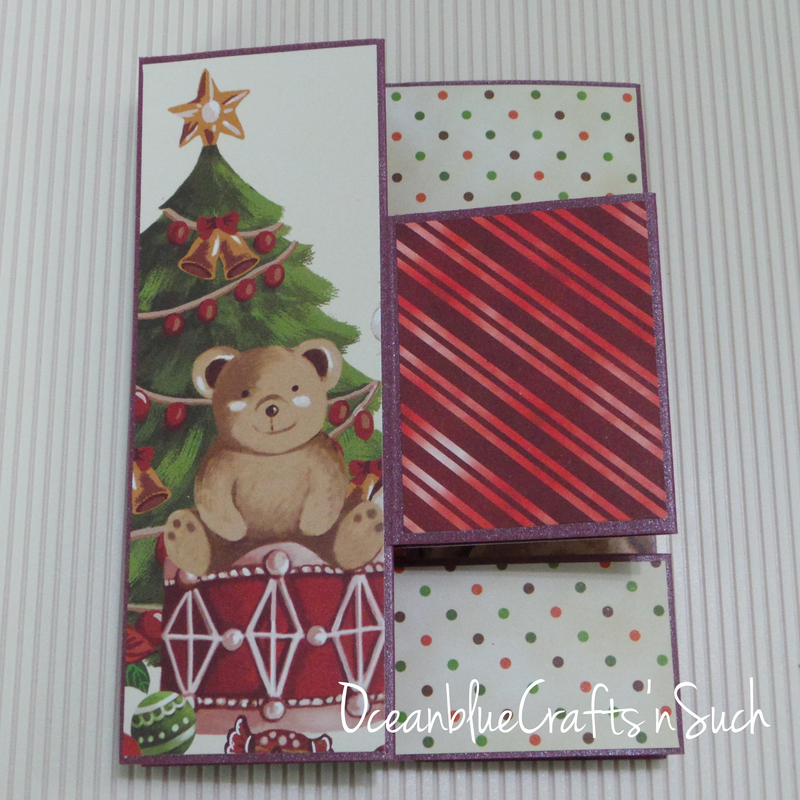 This envelope punch board can be used to make envelope for card size from 2″ by 3.5″ to 6″ by 8.5″.